Kurt Killgore Lands a Nice Steelhead! Hello Fans! We’ve been busy getting our website into order, and freshened up for the new 2015 jet boating season. You’ll find the 2015 Non-Motorized Dates are posted here. 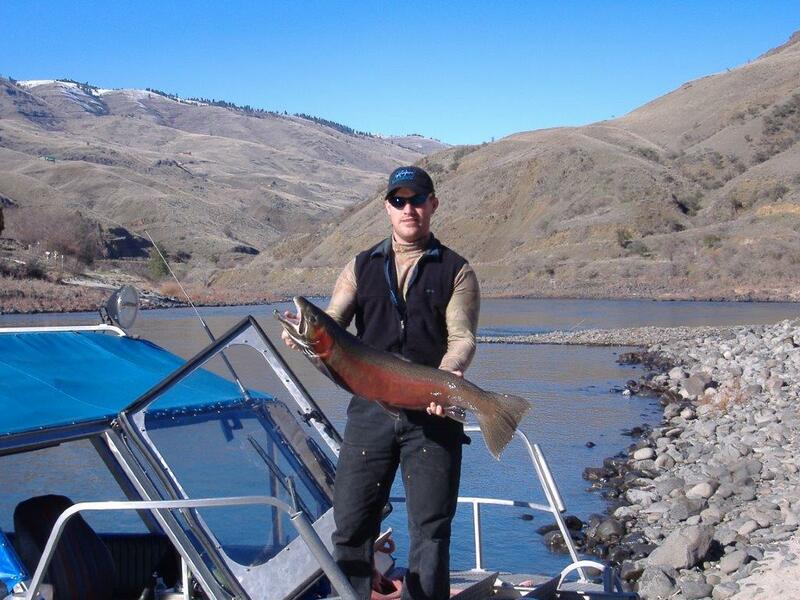 We’ve also added a new feature to KillgoreAdventures.com so that our fans will find it much easier to stay in the loop with us and get notified of special events we might host, news of Hells Canyon Jet Boat tours, water levels and when the fishing is hot. If you would like to receive occasional notices from KillgoreAdventures.com in your email inbox, we invite you to SUBSCRIBE HERE. The verification email you receive contains a link you will need to click on for verification that you do, indeed, grant us authorization to send our eNews. We are delighted to engage with travelers and fans who opt-in to receive our info with a subscription. Whenever we post an article or video or any type of highlighted news piece on our blog, the info will be neatly bundled up in a nifty email and sent to our opt-in subscribers. Also, if you ever want to unsubscribe, you can do so by just clicking on the unsubscribe link at the bottom of each email you receive. Easy. No frustrating cycle. Of course we hope you never do unsubscribe, but if you do, we will miss you. Here’s to a fantastic, adventure filled spring and summer 2015. With the winter experienced through most of the US, it’ll be good to plan for warmth and sunshine!